Rasselas and his companions escape the pleasures of the "happy valley" in order to make their "choice of life." By witnessing the misfortunes and miseries of others they come to understand the nature of happiness, and value it more highly. Their travels and enquiries raise important practical and philosophical questions concerning many aspects of the human condition, including the business of a poet, the stability of reason, the immortality of the soul, and how to find contentment. 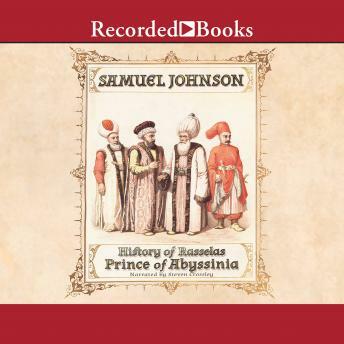 Johnson's adaptation of the popular oriental tale displays his usual wit and perceptiveness; skeptical and probing, his tale nevertheless suggests that wisdom and self-knowledge need not be entirely beyond reach.